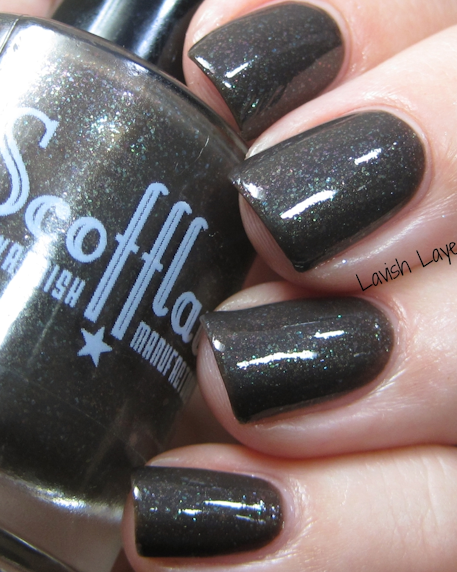 An American Wookie in London by Scofflaw Nail Varnish. 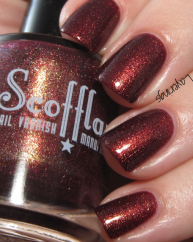 A cool dark brown creme with green shimmer that shifts to red. This is a chocolate-y brown with a very visible green shimmer/sheen. The red shift is only visible on close inspection under certain angles, I’d say 90% of the time it’s not noticeable. This polish reminds me of Andes Chocolate Mints. While there isn’t anything I particularly dislike about this color, there’s nothing about it that sticks out to me either, and I can’t really see myself returning to it. I already own a straight brown, and I have multiple glitter toppers I could use over that one. 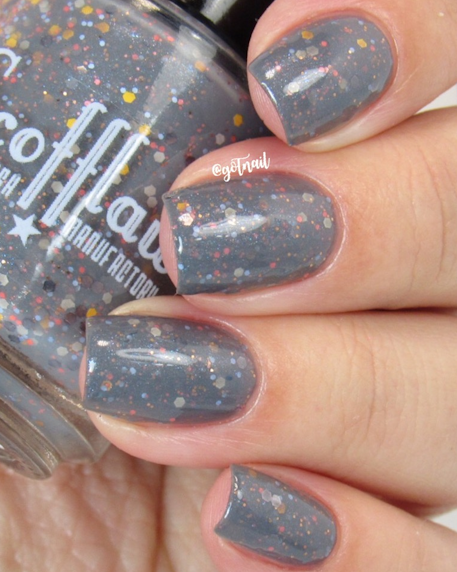 Smooth formula, good glitter suspension. 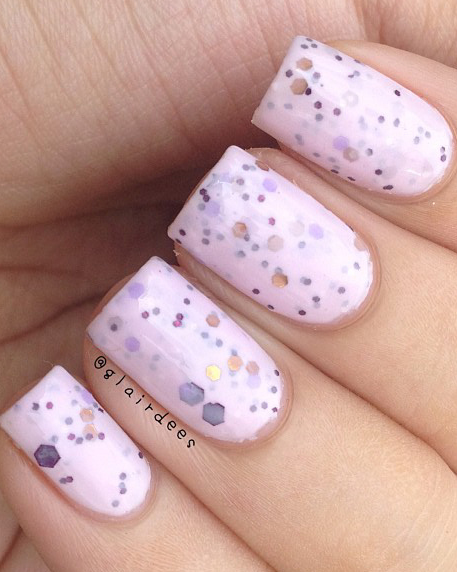 It took me 3 coats to get total opacity.